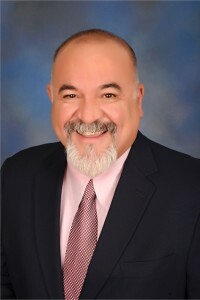 Abel R. Longoria, MD is board certified by the American Board of Emergency Medicine. He has been an active member of Greater Houston Emergency Physicians (GHEP) since 1998. In 2009, he was an integral part in GHEP opening its first FSED; “Elite Care” in Houston. It was doing this time that Abel realized what it entailed to build, license, and manage an FSED; he now serves as GHEPs Vice President of FSEDs. Most recently, he has led the team that designs, builds, and operates Elite Care throughout Texas. In addition to his Elite Care & GHEP duties, Abel is a charter member of TAFEC (Texas Association of Freestanding Emergency Centers) and has served on the board since its inception. He has played an integral part in growing TAFEC from a group that represented only 3 companies; to an organization that represents 150 FSEDs throughout Texas. In this role Abel’s goals are to continue to educate legislators, physicians, and the community about the FSED industry. Through relationships with TCEP and EDPMA he has started developing a national organization that will recognize and represent the industry on a national stage. The first meeting for NAFEC will be held in June. Abel also continues to be active in the pre-hospital arena. In this capacity, he had the honor of serving as the “Medical Director of Ground Zero” for the 14 days immediately after 9-11. His numerous years of pre-hospital care were recognized in 2008 when he was awarded the EMS Medical Director of the year for the Greater Houston Area. Abel’s career has not been limited to medicine. He served as an officer in the US Army, during Desert Storm. In this capacity his duties included being the 2nd in command of a Scout Company (aprox 150 troops and over 10 million dollars worth of equipment). His efforts in the war were recognized by the Division Commander who awarded him the Bronze Star for meritorious service while rescuing 4 soldiers and their equipment that had been trapped 20 miles behind enemy lines. Abel’s military career was not limited to Desert Storm; he was reactivated during Iraqi Freedom. During this conflict Abel served as a physician. Abel was raised in a small south Texas town that had no type of health care facility within 15 miles away. He understands the importance of access to health care and believes that FSEDs will serve this purpose regardless of the economic world that currently exists. Abel has been married to his wife Mary since 1986, and is the proud father of 4 children: Alexandria age 26, and Maria Alicia, Daniel, and Julian (“the triplets”) age 19.